New titles from Esri Press provide valuable information that industry professionals in homeland security and utilities can use when incorporating GIS as the technology of choice to perform better and more accurate analyses. 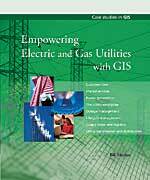 The leading publisher of GIS books, Esri Press introduces new volumes of industry-specific information. Authored by renowned GIS experts, these beautifully illustrated, reader-friendly editions will be important additions to any GIS reference collection. 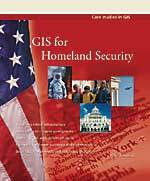 GIS for Homeland SecurityGIS technology is becoming increasingly important to the government agencies and private-sector firms that protect our homeland from terrorist attacks and respond to natural disasters. Because sharing information across departments and agencies is critical to successful inter- and intradepartmental cooperation, learning GIS technology can greatly enhance the speed, accuracy, and efficiency of these responsibilities. Written by Michael Kataoka, GIS for Homeland Security describes how government agencies and private-sector companies developed GIS programs to promote the flow of intelligence, protect critical infrastructures, improve emergency response, secure high-profile events, and prevent the spread of toxic chemicals and infectious disease. To increase the reader's grasp of this vital subject, easy-to-understand case studies provide model solutions to real threats and detail how agencies cleared budgetary and bureaucratic obstacles. ISBN-13: 978-1-589481-55-8, 150 pp., $24.95. Empowering Electric and Gas Utilities with GISKeeping homes heated and cooled, factories running, and cities illuminated is an enormous responsibility shouldered by the nation's utility companies. Geared to utility executives, operations and technology managers, financial officers, and GIS professionals who wish to pursue careers in the gas and electric industry sector, this definitive study includes detailed content and case studies to increase understanding of this important topic. ISBN-13: 978-1-589480-25-4, 225 pp., $34.95. 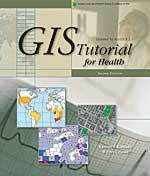 GIS Tutorial for Health, Second EditionAs public- and private-sector health care professionals confront issues, such as aging population, care for the uninsured, and patterns of disease, as well as other concerns, GIS technology can provide valuable assistance. Authored by Kristen S. Kurland and Wilpen L. Gorr, each chapter begins with a health issue or problem with a spatial element. This tutorial includes a fully functioning, 180-day trial version of ArcGIS 9.2 software and data on CD-ROM. Teachers can order instructor ancillaries that include Microsoft PowerPoint lectures and lesson plans. ISBN-13: 978-1-589481-79-4, 334 pp., $69.95. For more information, including book availability, or to place an order for Esri Press books, visit www.esri.com/esripress.